A while back, Ipsy had an IpsyMe Sale Event on their Facebook page. If you don't know what Ipsy is, please read my blog post about it: HERE, to read more about it. An IpsyMe Sale Event is an exclusive event to Ipsy members only. Ipsy will announce a few days before the event the time and date but not the product until the day of. On the day of the event they will give you a word to comment under the picture of the featured product on that specific time! And the first 50-100 (I am not really sure!) Ipsters that comment with the word will get a confirmation e-mail that the credit card they have on record with your Ipsy account will be charged for the product featured that day. Just like that you have basically purchased the product! Sounds so super easy right?!? Well sorta. . . .This event goes quick since the featured product is slashed to more than 50%off! The products aren't even that expensive and they cut off the price more! You just gotta watch out their Facebook for announcements on when's the next one will be since it's been pretty random. 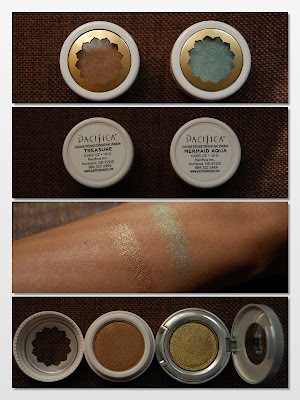 And so back in May, they were selling the Pacifica Wanderlust Beauty Set! At the IpsyMe Sale Event, Ipsy was selling it for $12.95 + free shipping! It was such a steal I could not resist. I was really happy to get the confirmation email later on since I do love this brand and would love to try more products from them. A little tidbit about Pacifica. Their products are all natural, 100% vegan, cruelty free, paraben-, phthalate- , triclosan- FREE! And all other toxins you don't want. Pretty impressive right?! If you are concerned of what you put on your body, check this brand out! Even if you are not, the quality of their body butters, perfumes and makeup are such a great quality which I will tell you more about now. ALIGHT MultiMineral BB Cream: This is a sheer moisturizing cream that hydrates, prime and illuminates that has anti-aging botanical ingredients. The cream adjusts to your skin tone and can be built up to your liking. The cream has a watery consistency and goes on very sheer. Definitely no coverage at all on my acne scars, and the dewy effect it suppose to give me just gave me more of an oily look. This little tube is still sitting in my makeup drawer. I may try this out again in the Fall/ Winter months when you want to achieve a nice glow to the skin. Right now, I am focusing on mattifying my oily face with this heat. Treasure: This is a dark bronzy shade with gold shimmers in it. I love this to just put on all over the lid for a quick everyday eye look. This did not crease on my lids nor got splotchy after a few hours of wearing it. I am super impress and love to get more of their shadows! Mermaid Aqua: This is a soft teal shade with gold shimmers. 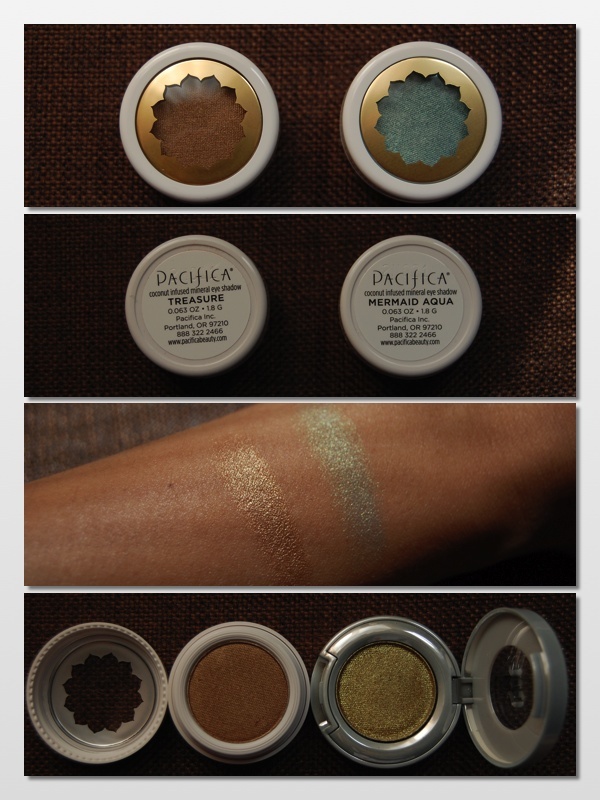 This is great to just put all over the lid as well since the light teal shade is not overwhelming to my tanned skin. Would not have thought of wearing this shade at all but I can even use it in my innner corners or lower lid with Treasure all over the upper lid! Very gorgeous colors! Color Quench Lip Tint in Sugared Fig: This has avocado and coconut oil that leaves the lips moisturized and looking healthy! Unfortunately I don't see any SPF in the label so this has only been used when I am just indoors all day. I love the sheer red tint it leaves on my lips. Another great product from Pacifica that I would purchase again and again! All in all, it's a great set for the price I got it for! Their prices aren't bad either for an all-natural product. I can't wait to try out more from them.